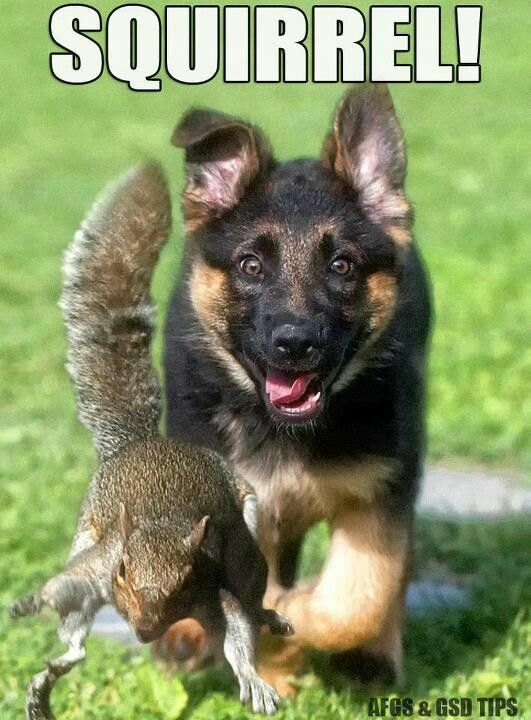 …You’re taking your dog for a lovely walk, when suddenly, they see a squirrel. Their adrenaline kicks in, they rip the leash right out of your hand, and take off down the street! Cars are whizzing by and the squirrel runs across the street with your dog in hot pursuit. Your dog is about to step into the road, and you yell “FIDO, COME!”…. If you’re 100% confident that your dog would heed your plea to return to your side, then by all means, go ahead and ignore this post! If you have an ounce of doubt however, please keep reading. 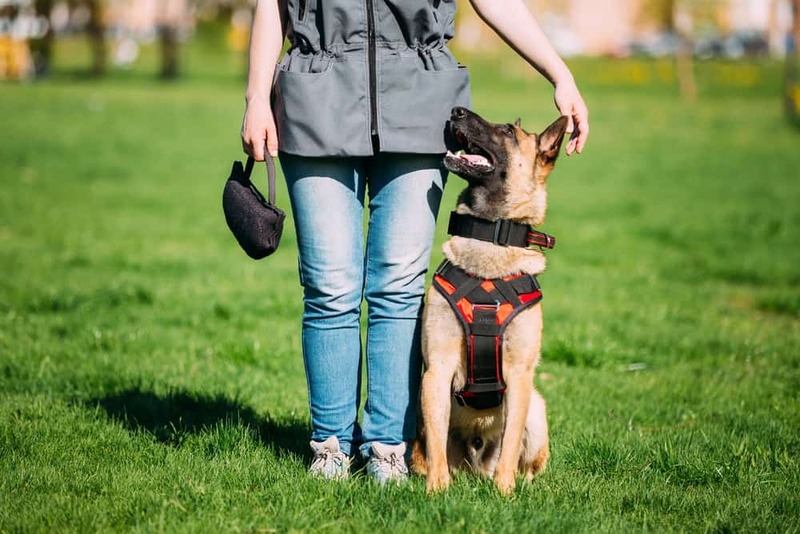 The “Come” command, otherwise known as recall, is a vital command for every owner to practice with their pup. Its not only entirely convenient for your dog to come when you call them, but it can also save your dog’s life! 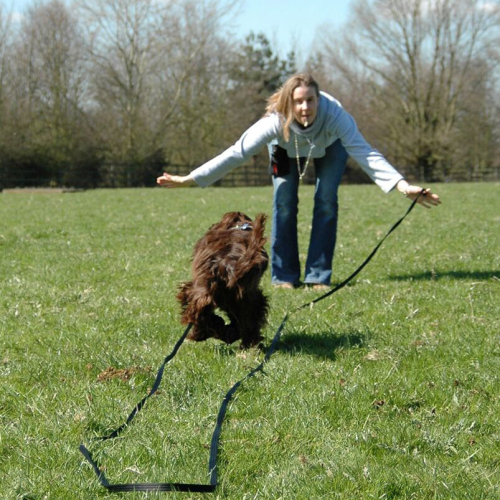 Last week, we discussed the basics of teaching your dog to Sit. This week, we’ll cover the simple steps in building strong recall command with your dog. Keep positive associations with your dog’s name. Naturally, most people pair their dog’s name with a recall command, so its imperative to keep all associations positive. If you commonly yell your dog’s name when scolding them, that will discourage them from listening when you say their name! Begin to pair their name or attention on you with praise and treats as commonly as possible, and soon they will associate their name with good things. Note distractions. 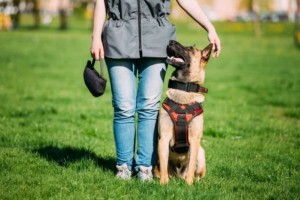 It is important to start your training in a distraction-free zone, but in order to accomplish that, you’ll first have to know what distracts your pup the most. 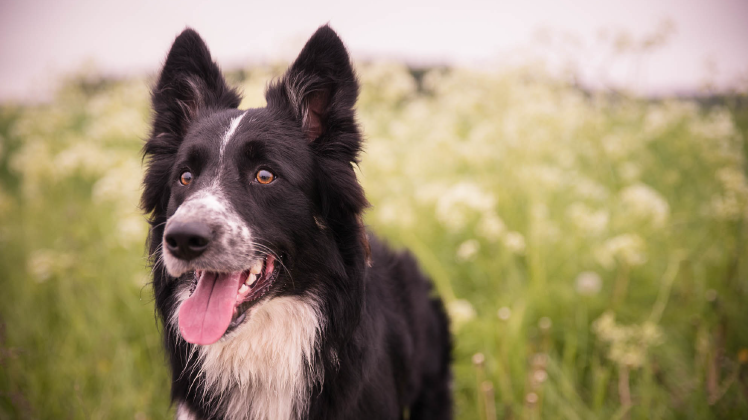 For example, if your dog is wild for birds, it may be a good idea to begin your training inside, where they have less opportunities to be distracted. Once they’ve got the basics of recall down, you can begin adding in distractions little by little for a challenge! Alrighty, now that you’ve got those handy tools in your pocket, let’s get started! Make sure you’re armed with HIGH value treats and/or something your dog finds enticing (such as their favorite toy). Step 1: Play the “ping-pong” game. This is one of the first games I play with my puppies. To start, you need a friend, lots of high-value treats, and their favorite toy. Next, make sure your puppy/dog has used the potty. To teach the recall, sit on the floor in a distraction-free area about 10 feet away from your helper. One person lightly restrains the puppy and one says the puppy’s name excitedly. When the puppy starts running toward you, praise wildly, give a high-value treat, and then play a fun game of tug. After a few successful reps, add the word you want to use for the recall. Repeat and gradually increase the distance between you. Step 4: Practice recall in a variety of environments so your dog can generalize the command to all areas of their life! Another great way to begin recall training is to capture the behaviors that you’re looking for. For example, if you’re out in the backyard with your dog, praise them every single time they approach you and give treats. You can even pair this praise with a marker such as a clicker or the word “yes”. 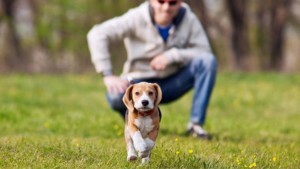 After your dog is consistently coming to you, you can begin to pair the action with a cue word. After some time, you can move from reward-based training to command-based training. Recall is a trick you’ll have to work on reinforcing your dog’s entire life, so be sure to keep up with the positive rewards and praise, and keep your cues and commands consistent! No dog is too old to learn a new trick – you’ll just have to find a reward that is enticing enough to encourage your dog to work. When in doubt, always reach out to a positive trainer in the area. Stay tuned for next week’s post on “stay” to conclude the basic training trifecta!